While travelers on the ancient Silk Road did have to negotiate their way into each new foreign land at times, or gain permissions from local rulers, they were spared one modern day challenge. Applying for multiple country visas before their departure and on route. 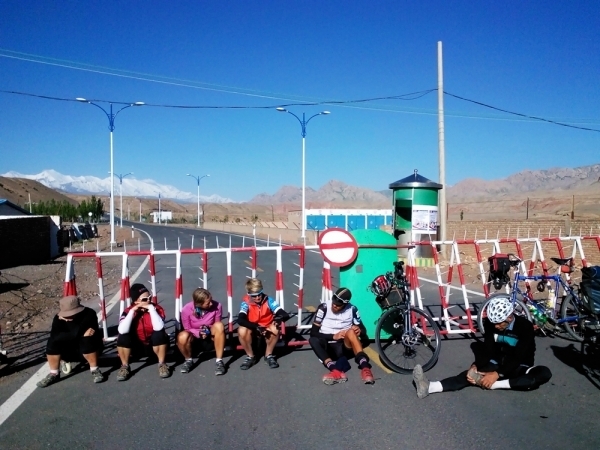 I’ve been fortunate to have crossed from Turkey to China overland on a couple of occasions and in my job at TDA Global Cycling I have been organizing bicycle tours across the Silk Road for the last 10 years (you can see the details of our Silk Route Cycling Expedition here). In that time I’ve learned quite a bit about the visa process for all the countries involved, as well as a few basic guidelines. There are many different routes that encompass the ancient Silk Roads to choose from; as well you can choose the direction that you will travel in. Obligatory Disclaimer: Visa requirements are constantly changing! The information I’m going to give is suited to a “westerner” cycling or otherwise traveling from China to Turkey over a period of approximately 4 months. This generally includes citizens of USA, Canada, EU countries, Switzerland, Australia, New Zealand and I have tried to note in the case where any of these nationalities are excluded or have different restrictions on their visa application. But please make sure to double check my advice with the embassies in your home country. I’ll break down the information into three main categories: countries that do not require visas, countries that require visas before your departure, and countries where visas can be obtained on route. Good news – Kazakhstan recently opened its borders for visitors of 45 countries with a new 30 day visa-free regime. These countries include all EU countries, Australia, New Zealand, Switzerland, Canada, USA, among others. For other countries if you are staying 15 days or less in the country, you can now receive your visa on arrival at the land border or airport. For those staying more than 15 days, and not in one of the visa-free countries, you’ll need a visa in advance. Luckily it has become a simpler process in recent times and no letter of invitation is required for most westerners. You’ll need to provide at least one hotel booking. This can be booked and then cancelled if you do not have set accommodation plans while you are there. You’ll also need to supply your own letter describing your travel plans, that you’ll be crossing overland and where you are entering and exiting the country. Visas granted are typically single entry and valid for 30 days once you enter the country. Most westerners no longer require a visa for travel to Kyrgyzstan. Citizens of most EU countries, Switzerland, Australia, Canada, United States, New Zealand can travel visa free for 60 days in Kyrgyzstan. 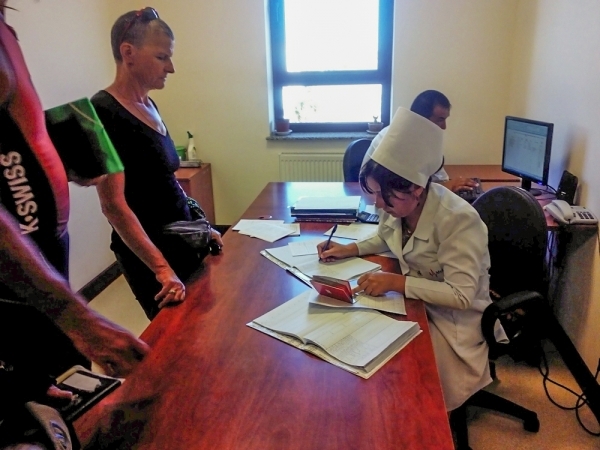 Typically acquiring as many visas as possible before departure on a big Silk Road adventure trip is best, as it takes the worry out of having to deal with them on route. However, getting them in advance is not necessarily the easiest or cheapest method depending on the country. For some countries, it is a requirement to get the visas in advance as they will not grant them at the airports or land borders. This visa is pretty straightforward if you don’t mind twisting reality a bit. 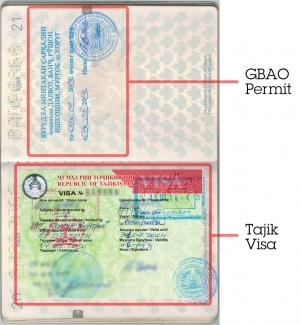 The typical visa granted is a single entry valid for 30 days after the date of entry. If you are cycling a more northern route through Mongolia and Kazakhstan, this is more than enough. If you’re cycling across China directly to Kyrgyzstan, you’ll need a visa valid for 60 – 90 days. Explaining to the relevant Chinese embassy or consulate your itinerary and that you’ll be traveling overland into Mongolia or Kyrgyzstan by bicycle sometimes works, however more often than not it causes more difficulties, especially if you will be traveling through western China. They are also very wary of travellers who have no pre-booked flights and accommodations so you might have to get creative with that. The actual visa does not show anything about your planned itinerary on it, so there is no need to worry about following a different itinerary than the one you applied with. The reality is that embassy staff aren’t overly interested in your itinerary, so it is best to give them the information they need and not elaborate at all. This is a visa that has become increasingly time consuming and expensive for most westerners over the last few years. You will require a letter of invitation or tourist voucher, from a travel agency in Russia, if you google “Russia tourist voucher” you will find many agencies that can provide this for a fee. This voucher will have your itinerary on it and show the hotels where you plan to stay. If you haven’t planned any specific hotels you’ll stay at, or if you plan to camp, then you’ll need to describe this to the agency. Typically you do not need to provide an airline ticket if you write a letter describing that you are traveling overland and explain where you will exit Russia. Usually the visa issued is valid for the exact dates that you are supposed to be in the country. This visa has become simpler the last few years, and most westerners do not require a letter of invitation. You will need to provide an itinerary and a hotel booking, as well as your own letter describing your travels and where you will be entering and exiting the country. The majority of embassies will allow you to apply for this visa more than 3 months in advance, which allows you to apply for this before you leave home. The visa itself will be valid for the exact dates of the itinerary which you supplied in your application, to a maximum of 30 days for single entry. There were recent hopes of Uzbekistan moving to a visa-free scheme, similar to the ones introduced in Kyrgzstan and Kazakhstan, but the plan is on hold and is now expected to come into effect in 2021! So in the meantime most westerners will need a visa in advance and will also require a letter of invitation to get the visa. This has to come from a tourist agency in Uzbekistan. Similar to other invitation letters this will outline at least one accommodation you will stay at while in the country and provide the exact dates of your entry and exit to the country. You can find an agency to assist by googling “Uzbekistan Letter of Invitation” or by contacting a tour operator based in Uzbekistan. If you are not booking any accommodation in advance, the agency can either list a hotel that you tell them you “plan” to stay at, or you can book something online. You will not have to provide a flight booking if you are explaining that you will be traveling overland. This visa is also valid for the exact dates of your itinerary and typically can be applied for more than 3 months in advance, allowing you to apply for it before your departure. If you are heading on the northern route through Mongolia, Russia and Kazakhstan then you will enter Mongolia overland. Luckily for most westerners this is a very easy country in terms of visas, as in some cases you do not require any visa at all, while some nationalities require one at the border. Typically you are allowed 30 – 90 days in the country. Canadians, Germans can stay visa-free up to 30 days, and Americans up to 90 days. Whereas citizens of the UK, Australia, New Zealand, Switzerland among others do require a visa in advance. For the independent traveler, this is a very tricky visa to attain. While tourism is promoted, it is only group tourism that is encouraged, and only if accompanied by an official Turkmeni guide. Many solo travelers have been able to get a transit visa from embassies on route, this allows 5 days inside of Turkmenistan. The best place to attempt getting this would be in Dushanbe, Tajikistan or Tashkent, Uzbekistan. However, there are no guarantees and what these embassies will ask for in terms of information as it changes often. If you are looking for a more concrete visa plan, then the best method, and easiest (though expensive) is to contact a travel company in Turkmenistan at least a month in advance and they can arrange a pre-approved visa that you’ll be able to pick up at the border on arrival. There is a catch though, you’ll need to have a concrete travel plan and have a guide with you. Alternatively, you could join a group tour like our Silk Route Cycling Expedition where we assist you in arranging a tourist visa as part of our group. It is only possible to apply for an Iranian visa 3 months or less before your arrival. This is the reason why, if you are traveling slowly overland across the Silk Road, you will need to apply for this visa from the road. Luckily attaining the visa on route is not too difficult, though there is always potential for surprises. 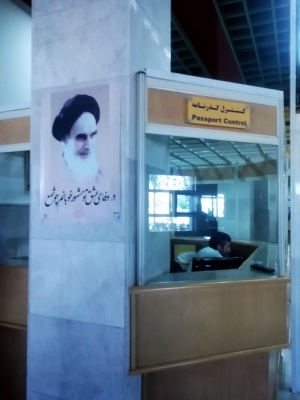 You’ll need to contact an Iranian travel company at least 6 weeks before you plan to pick up the visa at an Iranian embassy, and have them make the pre-approval application to the Ministry of Foreign Affairs in Tehran. Once this process is complete, you’ll receive an approval number that will be sent to you as well as the Iranian embassy that you’d be picking up your visa from. The fee for this service is separate from the actual visa fee that you’ll pay at the embassy. Embassies on route that work well are in Dushanbe, Tashkent or Ashgabat. Don’t be afraid to use some elbow grease to help get your self in the door. Feel free to ask for the “big boss”, as it is not common for a westerner to be getting their visa there and the front of house staff can sometimes just start saying ‘no’ out of fear of doing something wrong. Once you have the visa it should be valid for 30 days, which will be plenty of time to get across. If you have the luck of being American, you may be required to travel with an official guide the entire time you’re in the country. We saved the best for last. This is a simple “e-visa” that can be applied online for 3 months in advance. You do not have to send your passport away, you’ll just need to pay online and print off the approval page, which includes a bar code. This will grant you up to 6 months in Turkey as well as being multiple entry. I hope this helps give you a head start on your Silk Road visa research. Visa rules are constantly in flux, so check everything and check often in the weeks before you apply. 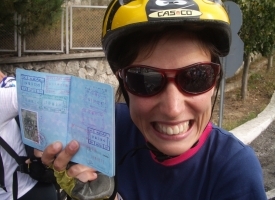 0 comments for "How to Get Visas for Silk Road Countries"
Leave a comment for "How to Get Visas for Silk Road Countries" by visiting the original post on our TDA Global Cycling blog.